With her two-point performance in a 6-2 win over Buffalo on Saturday in Rochester, Alexa Gruschow of the Metropolitan Riveters earns this week’s NWHL Player of the Week honors. "First, I have to give some credit to my line mate and last week’s player of the week, Miye D'Oench, because she had a hand in helping me get both of my goals in Saturday’s game,” Gruschow wrote in an email after being informed of the honor. "Just like last weekend, it was an all-around team effort that earned us this win. It was an extremely physical game to say the least, but our team stuck together and stayed focused, all the way through our roster and including our coaching staff. This allowed us to get the win. We’re glad that we were given the opportunity to experience a game at a neutral site and leave a position impression of NWHL hockey in a new location like Rochester. 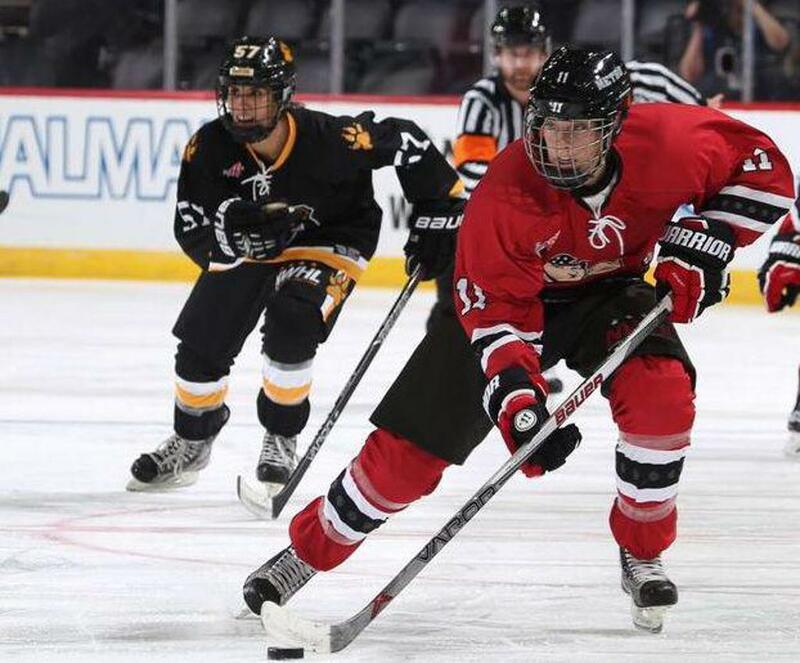 The stands were packed with excited young female hockey players from the tournament that was held at the rink — potential future NWHL stars, the perfect crowd." Gruschow scored a shorthanded goal just 2:56 into the game. In doing so, she helped the Riveters become the first NWHL team in history to start off their first two games scoring shorthanded goals. Gruschow was not done as she scored again in the second period to put the Riveters up, 3-1. With her two points this week and two last week, Gruschow has 4 points in 2 games this season. Gruschow also dominated in the face-off circle, winning 16 of 24 faceoffs (67%). Gruschow will try to continue her dominant play for the Riveters as they travel to Connecticut to take on the Whale on Saturday at 7:00.